Pastor Christine first came to Bethel as a seminary intern in September 2012, serving for the academic year. Graduating from Seattle University’s School of Theology and Ministry with a Master of Arts in Transforming Theology, she returned to Bethel in late 2013 as a lay pastoral leader while completing the requirements for ordination. She completed additional study at Luther Seminary and Pacific Lutheran Theological Seminary as part of the TEEM Program. She was ordained in April of 2015 and called as a Associate Pastor at Bethel. Effective June 1, 2018, Pastor Christine was affirmed by the congregation as Pastor. 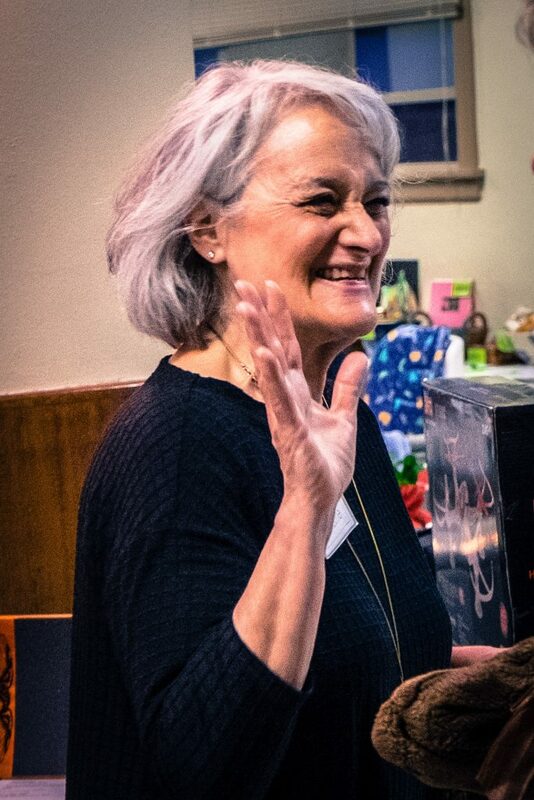 In addition to her service to preach the Word of God and to administer the Sacraments, Pastor Christine focuses her work at Bethel on pastoral care, community outreach ministries, issues of equity and justice, including community organizing principles, and on children of the congregation’s faith formation. She is particularly interested in biblical studies done from a social-science perspective and studies the work of German theologian Dietrich Bonhoeffer. Pastor Christine and her husband John live in Portland and spend as much time as they can in the Willamette National Forest in the Upper McKenzie River valley, east of Eugene, OR. They have three married daughters and six grandchildren. A Wisconsin native, she is a Badger fan and holds a degree in Journalism from the University of Wisconsin – Madison. She has a particular inexplicable passion for the Green Bay Packers. Terry was born in Prineville, OR, and grew up in Eugene through college at the University of Oregon. On December 18, 1971, he and Michelle (Greenfield) were married at United Lutheran in Eugene. Immediately after graduating from the U of O, Terry and Michelle moved to Berkeley, CA to begin seminary at Pacific Lutheran Theological Seminary. He graduated in 1976 and took his first call to a town and country parish in SW Washington, Village Lutheran, Montesano, WA where they stayed for 4 ½ years, and adopted their first child, Tanja Suzanne, born January 24, 1977. In January, 1981 Terry accepted a call to Redeemer Lutheran in NE Portland where he pastored through thick and thin from 1981-2013. During this time Terry and Michelle adopted their second child, Kelly Eric, born May 25, 1982. His ministry was interrupted, enriched and challenged by engaging in spirituality and community organizing at the same time, leading to many adventures. In 1998 he completed a Doctor of Ministry program at the UMC Seminary in Washington, D.C on the theme of “Spirituality and the Suffering of God”. Toward the end of his tenure at Redeemer he helped envision and lead a 3 ½ year process of transformation of Redeemer, resulting in a new Lutheran congregation, Salt and Light, replacing Redeemer, and a larger, community-based non-profit, Leaven, holding Salt and Light and many communities under a common umbrella of relationship and mission. 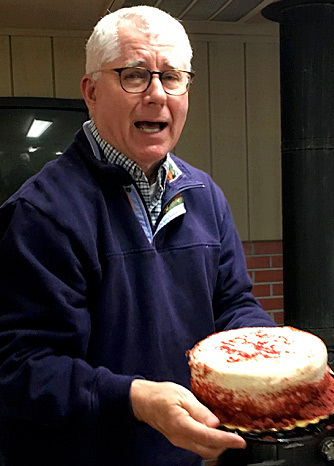 Following his tenure at Redeemer, Terry accepted a call from the Oregon Synod to specialized service with IAF Northwest, community organizing network based in Seattle with affiliates in Portland (MACG), Spokane, Seattle-Tacoma, Vancouver and Victoria, B.C. and Calgary, Alberta. Mainly this work was about combining organizing with adaptive leadership for congregational leaders. Terry and Michelle now have two grandchildren, Alexia and Alex, and now live in SE Portland near Mall 205. He comes to Bethel with a wealth of experience, and more importantly, a listening ear.. What might God be up to for us in this time and this place?